What is Donor health care? 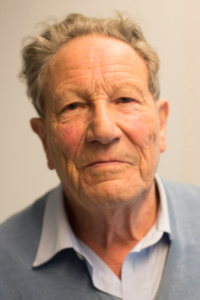 It is with great sadness that the DoHeCa staff announces the death of Professor Jon J. van Rood, teacher in the module Basic Principles in Donor Health Care, at the age of 91. From 1952, Jon van Rood was Head of the blood bank in the Leiden University Medical Center, where he also founded the Department of Haematology. Intrigued by side effects of blood transfusion, his scientific research focused on matching of red blood cells, and later of Human Leucocyte Antigens (HLA). Looking for ways to find the best matching donor for a kidney or stem cell recipient, and thus improving graft survival remained his lifelong ultimate goal. Jon van Rood was founding father of Eurotransplant, the Dutch stem cell donor registry Europdonor (currently Matchis), and the World Marrow Donor Association. In 1988 he was the initiator of Bone Marrow Donors Worldwide, the global donor inventory and on-line matching facility with now more than 30 million registered stem cell donors. Jon van Rood was an excellent teacher; by enriching his lectures with examples from clinical practice, he tried to make medical science lively and comprehensible. We are proud that he contributed to the DoHeCa programme, as a teacher of The History of HLA and Stem Cell Transplantation in the module Basic Principles of Donor Health Care. This entry was posted in News on 29 July 2017 by Anne-Marie van Walraven.